Echoes of world travels abound in this exotic exposé of ballads from Linn Lorkin. The world has been her stage and she's back home in New Zealand, singing her own bitter-sweet "kinda blues". Her voice is sweet and smooth as she opens the pages of her impressive songbook, complemented by a wonderful version of Stevie Wonder's "Looking For Another Pure Love", and a to-die-for arrangement of Piaf's famous, "Mon Légionnaire". Recorded at home in her Grey Lynn garden, in New Zealand where her straight-from-the-heart style has earned her a coterie of fanatical followers, the album is based around Lorkin's simple but effective piano stylings, developed over her years as a piano-bar songstress in NYC. There are songs about New York life: a memory of her great apartment as she's about to be evicted; finally receiving her green card; sitting and talking on the stoop with Dawn, her actress friend. There are songs about Europe: a piper calling clansmen to battle in ancient Scotland; wonderful Copenhagen in the 60s; busking on the streets of Paris with the young Edith Piaf. And there are examples of her kiwiana songs: the funny-sad "I Should Be A Star in Las Vegas But Tonight I'm Sleeping In Grey Lynn", a night in the life of a performer stuck in a terrible gig in a phony Italian restaurant and the deliciously nostalgic "Family At The Beach", already become a standard in her native country. 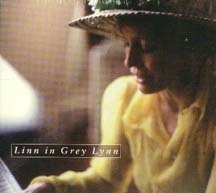 There's no-one today writing like Linn Lorkin, Down Under or Up Over! The album comes in a beautiful digibook, with stories and anecdotes about the inspirations behind each song.